Happy Monday, it's time for a new challenge at House Mouse & Friends. It's the end of May...do you know what wacky holiday is around this time? ONLY OLD STUFF FROM YOUR STASH ...nothing new. In fact... I'd like you to use supplies you already have that are at LEAST 1 year old. The older the better. This includes paper, dies, embellishments, stamps, even adhesives. and perhaps...a prize for the oldest supply used! my counter only says 15 cards ! So today's card had to be a christmas card. several times because I like it a lot. It's coloured with my Prisma Color Pencils (which I bought back in 2010 ). The papers are from Maja Design- unfortunately they are not that old ! and so do the snowflake die from Marianne Design. STAMPENDOUS! 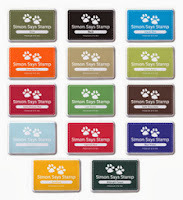 Blog, The official Stampendous! Website to Purchase Products, Find Stampendous! on Pinterest ; Stampendous! on Facebook. from her coveted stash, to the person who uses the OLDEST stuff! i en udfordring, dien er fra Marianne Design. Så det var på tide at få den afprøvet! Her har jeg lavet isbjørnen i filt, se hvor sød den blev! jeg kørte dien gennem Cuttlebuggen. snelandskabet med har jeg lånt fra en god kompis. Det er en Spellbinder die. Vi har så at sige fælleseje på vores scrappeting! Baggrunden er lavet med en embossingfolder. Jeg lavede også en papirversion, det er kortet til venstre. det er ham i filt der ser blød ud! J for Jewels, a DT Card for ABC Christmas Challenge. decorated it with some bling and framed it with blue bazzill cardstock. The round sentiment is from LOTV. Easy to make, easy to send! ABC Christmas Challenge. I hope you will join in the J challenge. På søndag fylde den bedste svigermor man kan tænke sig 82 år. Kort skal der naturligvis til. gives sammen med nogle krukker med blomster til terassen. Tekststemplet er fra LOTV og papirene fra Maja Design. haft så længe at jeg har glemt hvor de er fra! jeg tror jeg skal gøre det lidt oftere. Favorite way to spend a day, a mid-way reminder for HM&FMC! Hello crafters and happy Monday. ongoing challenge at House Mouse and Friends. "FAVORITE WAY TO SPEND A DAY"
ALL of our challenges also have the alternate option of *ANYTHING GOES* too! any House Mouse Design stamps, CD collection images or decoupage! For my card today I used this cute Gruffie Bear skiing downhill. and I've added some Stickles as snow. The papers are from BoBunny. and they are offering ONE Lucky player a $20 Gift Certificate to go shopping at the official House-Mouse Designs(R) site, found HERE!